Christina has appeared as soloist with over fifty orchestras including the Utah and Houston Symphonies. She has premiered concertos written for her by Carter Pann and Laura Elise Schwendinger; frequently performed repertoire includes the concertos of Christopher Rouse, Joan Tower, Otar Gordelli, and Antonio Vivaldi. Upcoming concertos performances include the Griffes Poem, the Mozart G Major Concerto, and Joel Puckett's Shadow of Sirius. 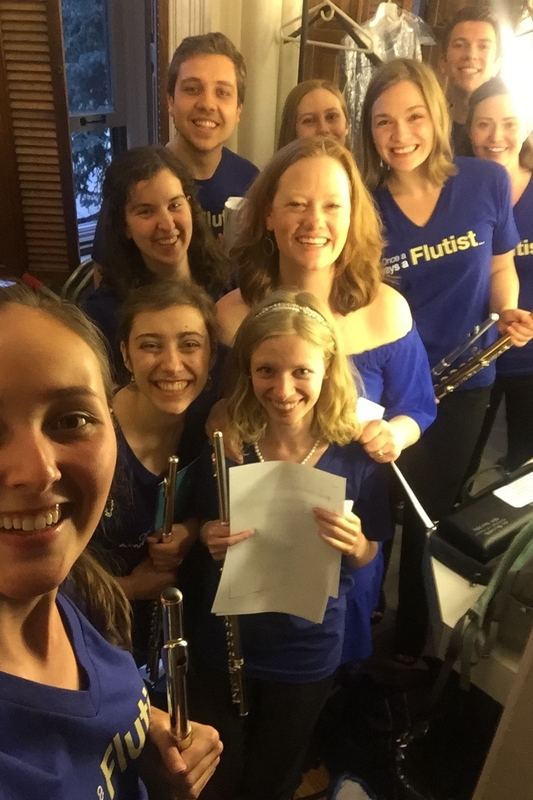 Principal Flute with the Arizona MusicFest! Orchestra, ten years as the Principal Flute with the River Oaks Chamber Orchestra (Houston). Diverse collaborations include: Jethro Tull, David Parsons Dance Company, James Galway, and members of Pilobolus. Chamber music partnerships have included So Percussion, the Brentano and Takács Quartets, soprano Lucy Shelton, pianists Lura Johnson and Simone Dinnerstein, guitarist Jonathan Leathwood, harpists Bridget Kibbey and June Han, and cellist Colin Carr. In great demand as a teacher, Christina Jennings is Associate Professor of Flute at the University of Colorado Boulder, and on the summer faculties of Greenwood Music Camp and ARIA. She has also taught at Texas and Sarasota Music Festivals. She is the director of the Panoramic Flutist Seminar and the Once a Flutist Festival, both in Boulder.